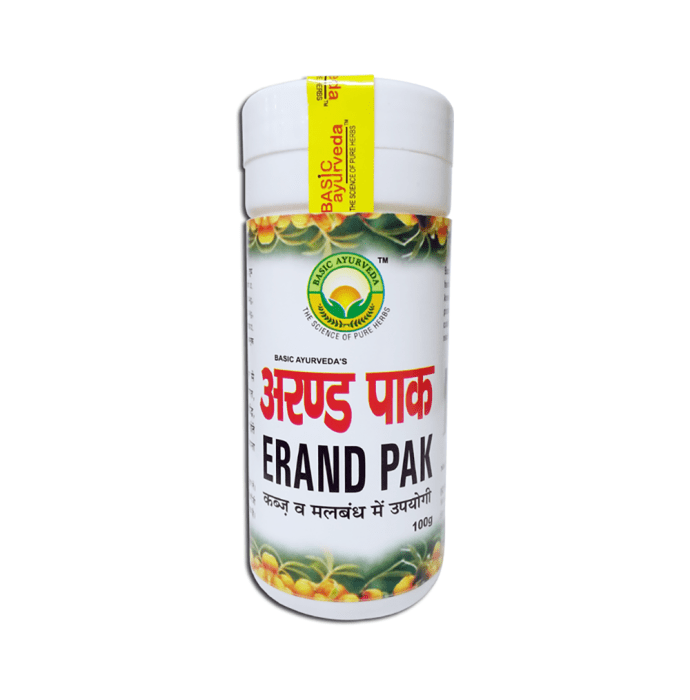 Basic Ayurveda Errand Pak contains erand ki seed ki giri, doodh, ghee, trikut, lavang, elaichi, dalchini, tejpa, nagkesar, ashwagandha, soya and pipala mool. It is useful in hemiplegia (paralysis of the arm, leg, and trunk on the same side of the body). It is useful in constipation. It helps in rheumatism and arthritis. It is useful in appendicitis & lumbago. Take 12gm to 24gm with warm milk or water, or as directed by the physician.